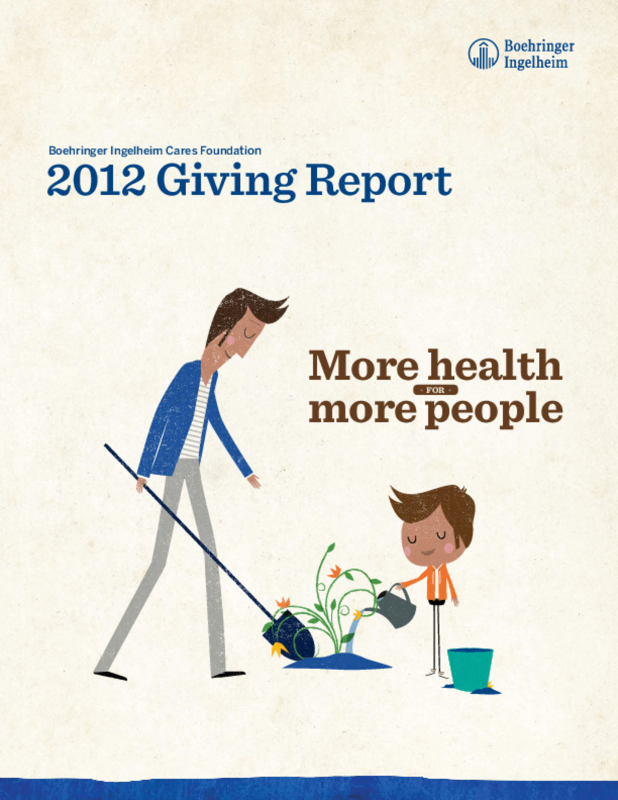 The Giving Report summarizes through short stories, pictures and videos the four primary ways the Foundation makes more health: the donation of medicine, support of and engagement in community programs, the time and skills employees donate in the employee volunteer program, and advocacy of social enterprise as an innovative way to solve problems and forge lasting change in our communities and society at large. Copyright 2013 Boehringer Ingelheim Cares Foundation. All Rights Reserved.